North Western Railway Admit Card 2017: Get Your North Western Railway Admit Card in just one hit. 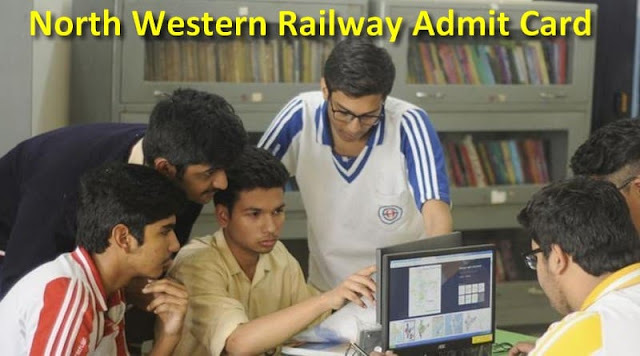 Applied candidates for North Western Railway Recruitment can get their NWR Written Exam Hall Ticket. Railway Recruitment Cell is all set to conduct NWR Recruitment Exam for Level-1 & 2 position all participated candidates in recruitment exam can download their NWR Admit card. First of all, appliers will have to go the official website of Railway Recruitment Cell, North Western Railway that is www.rrcjaipur.in. Now move towards “Latest News and Events” section that is in right side. Under that hit on suitable link related to “Download Call Letter for NWR Recruitment Exam” link. Thereafter aspirants need to fill you’re “Registration No” and “Date of Birth (DD/MM/YYYY)” at the given text box as displayed below. After filling the asked details, you may need to select “Login” button to record entered details. Thereafter, your Railway Recruitment Cell Level-1 & 2 Admit Card will be displayed in front of you. At last you may also take the print out of your NWR Recruitment Exam Call Letter for examination purpose. Following is the recruitment procedure of Railway Recruitment Cell, North Western Railway. Organization will conduct following steps to hire applicants for Level-1 & 2 position. Candidates can go through it and check marks distribution of it also. Aspirants need to qualify in all the steps to get final recruitment. The Written Test will consist of 40 objective questions (40 Marks) & 1 essay type question (10 Marks) relating to Scouts & Guides Organization and its activities and General Knowledge for Level-2 and Level-1 -. The syllabus for this will be as per para 12. A Skill Assessment Committee will assess the practical ability of the candidates. (i) Participation/Service rendered in National Events/Nation Jamboree (including All Indian Railway Events). Candidates may open Official Link to download your North Western Railway Admit Card 2017–2018 and keep continue our web portal for getting latest updates regarding North Western Railway. Join us on Facebook or Google + for latest updates.